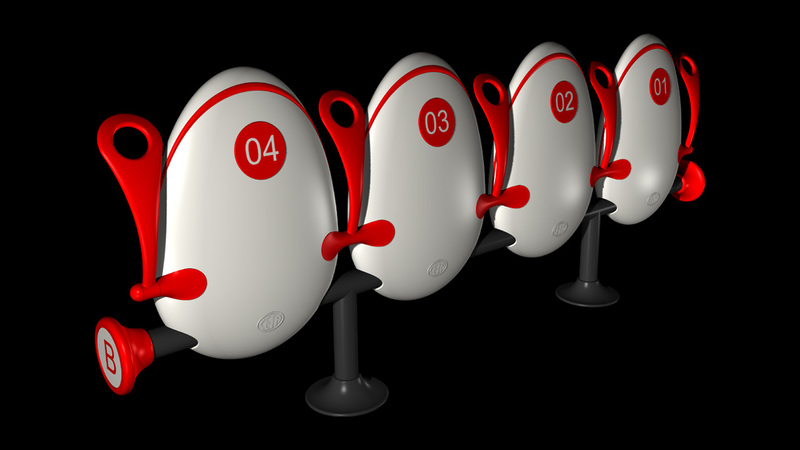 Innovative seating system for sport with a refined design with internal spring system for automatic folding of the seat with full egg closure. 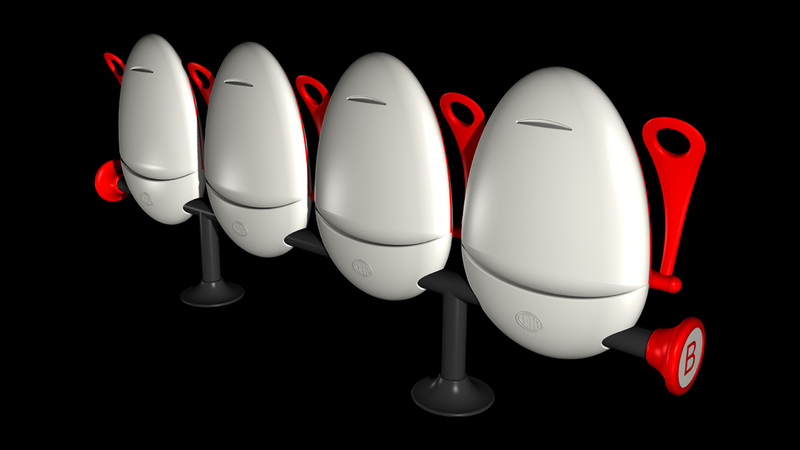 Designed by Giancarlo Zema for CETA, this system allows you to have the seat always clean and reduce maintenance to almost zero. Seat and back of the right ergonomics guarantee maximum comfort. 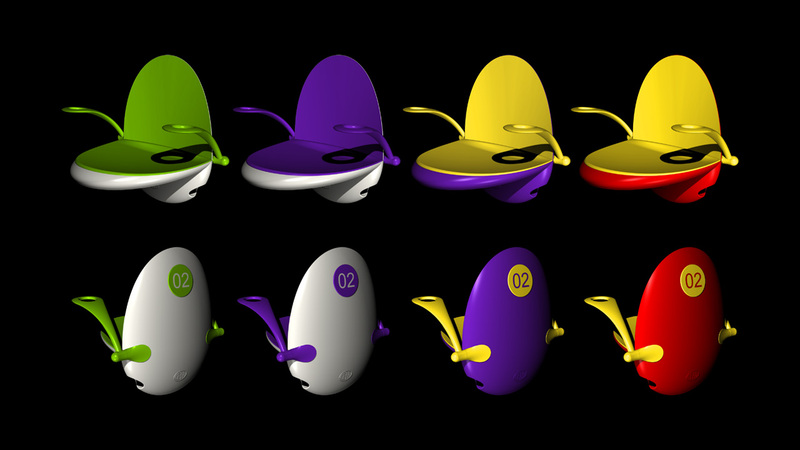 The double external / internal coloring generates a strong emotional impact. Thanks to a sturdy clamping system placed in the lower part of the body, it is possible to fix the seat to the steel track with a simple burner. Colored armrests can be mounted later. Folding armrests once closed they fit perfectly into the overall size of the EGGame session. 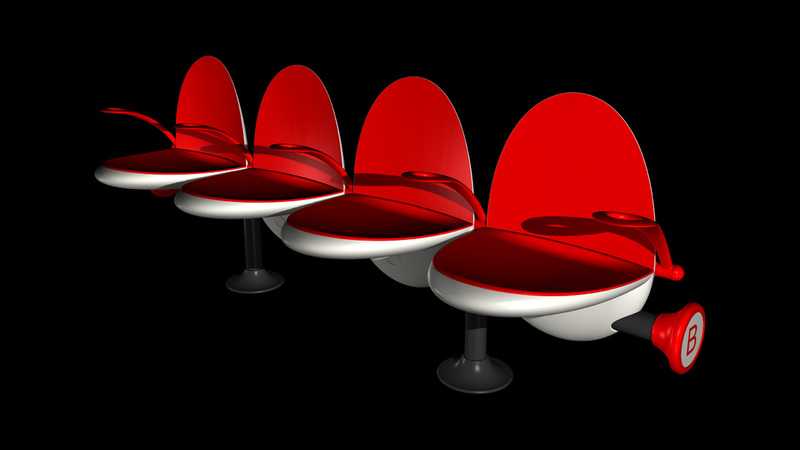 The particular organic shape of the armrests is visually lightened by holes that can be used as a glass holder.